Rev. 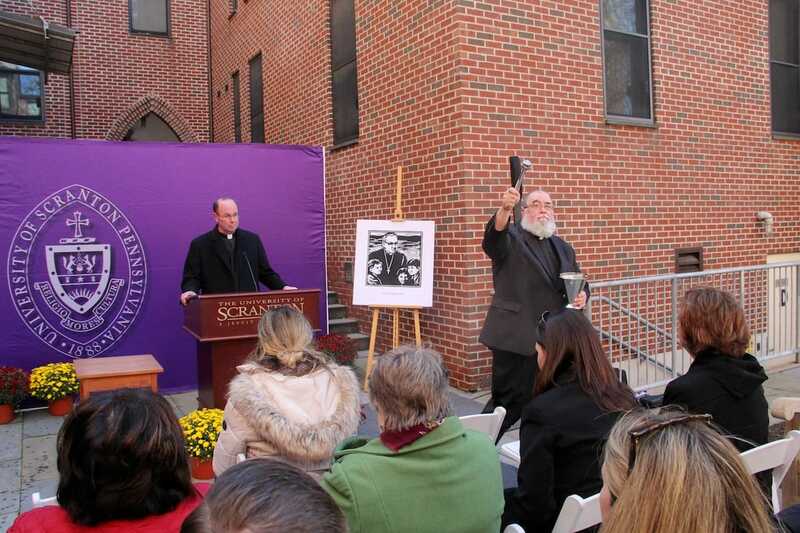 Scott R. Pilarz, S.J., president of The University of Scranton, blessed and named a residence plaza in honor of St. Oscar Romero, the martyred Archbishop of San Salvador. 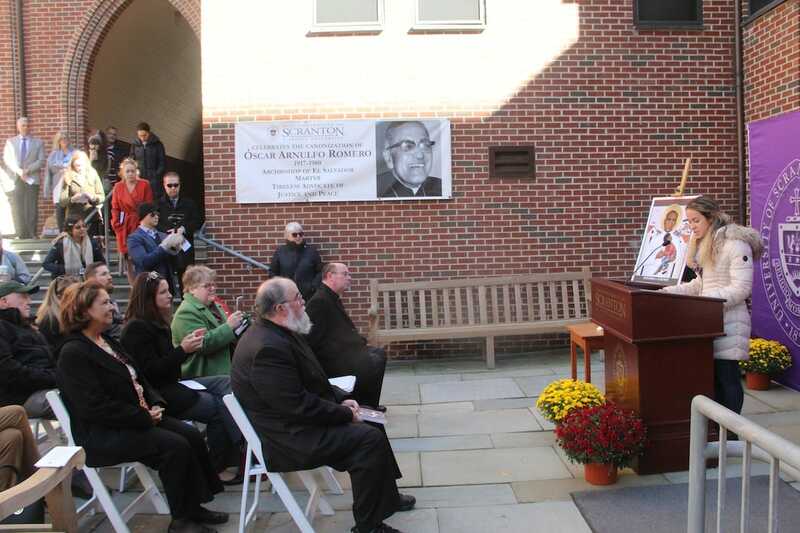 The University of Scranton named a residence plaza in honor of St. Oscar Romero, the martyred Archbishop of San Salvador who was canonized by Pope Francis on Oct. 14. 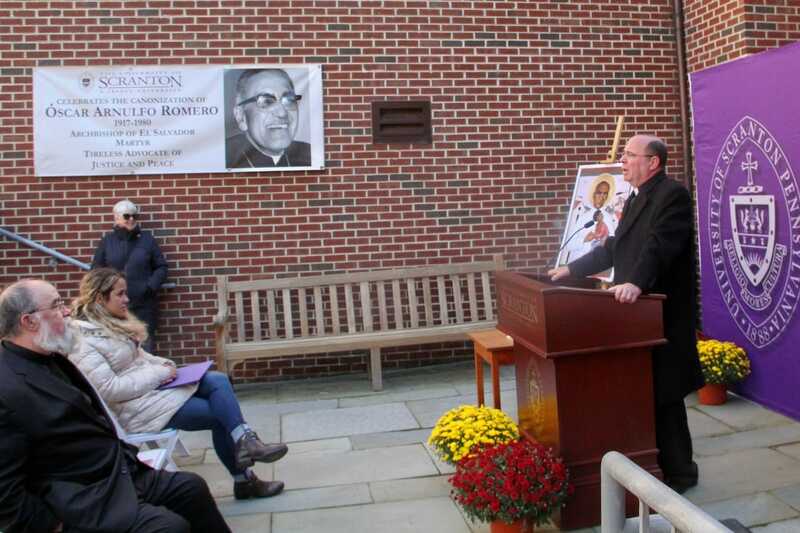 St. Romero, who was murdered in 1980 while saying Mass in San Salvador, is well known for his commitment to social justice and service to the marginalized and oppressed. 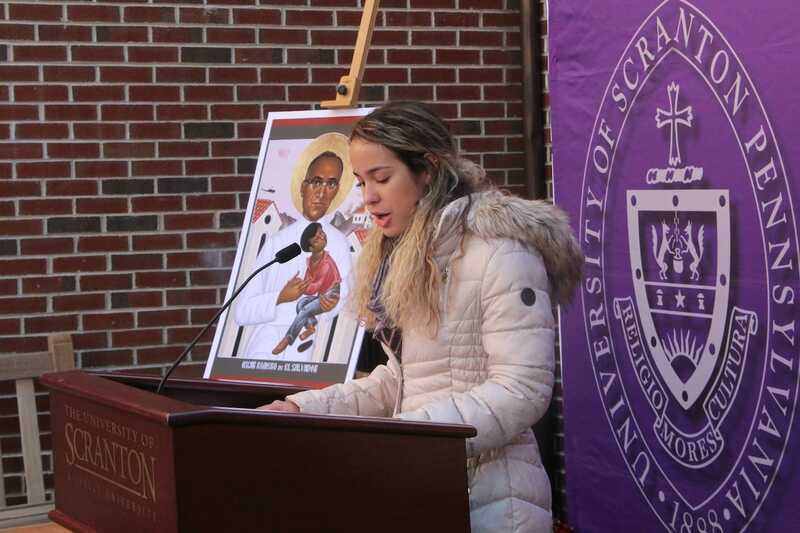 The University’s connection to El Salvador and the work of St. Romero through international service trips and pilgrimages dates back nearly two decades. 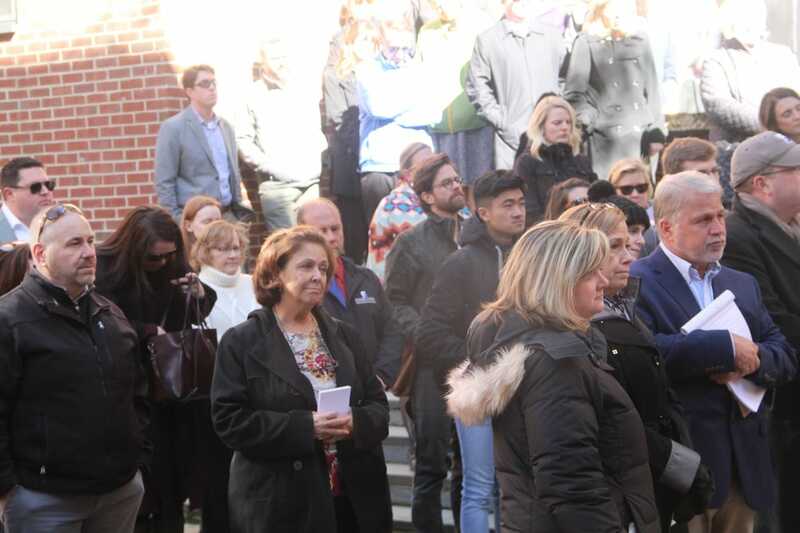 In 1999, the University began the Bridges to El Salvador program for students, faculty and staff to foster a greater commitment to justice issues. 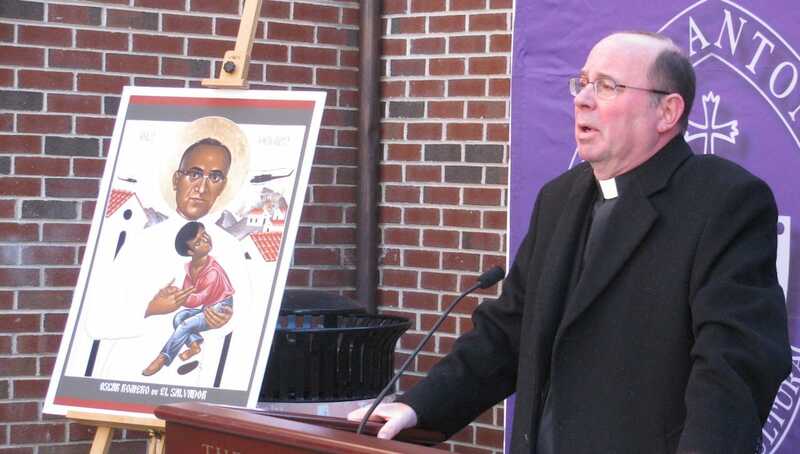 This effort continues through experiences led by the University’s Jesuit Center to El Salvador and other countries. 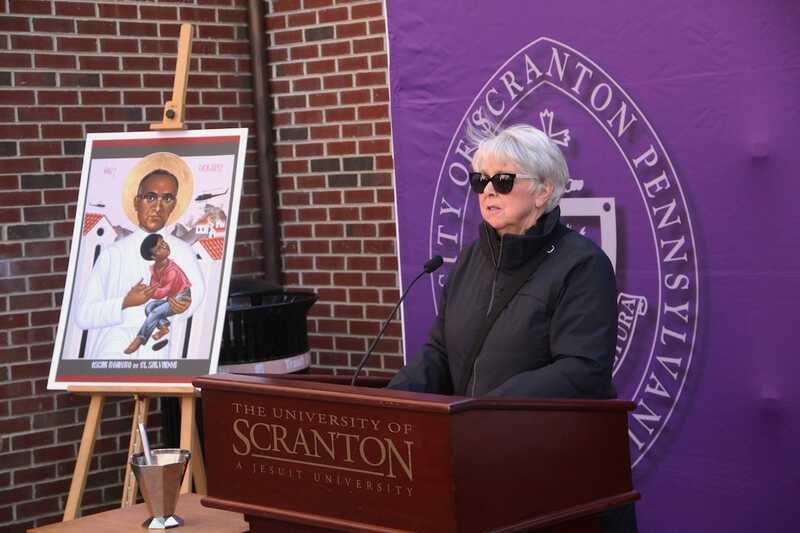 Speaking at the naming ceremony, University of Scranton President Rev. 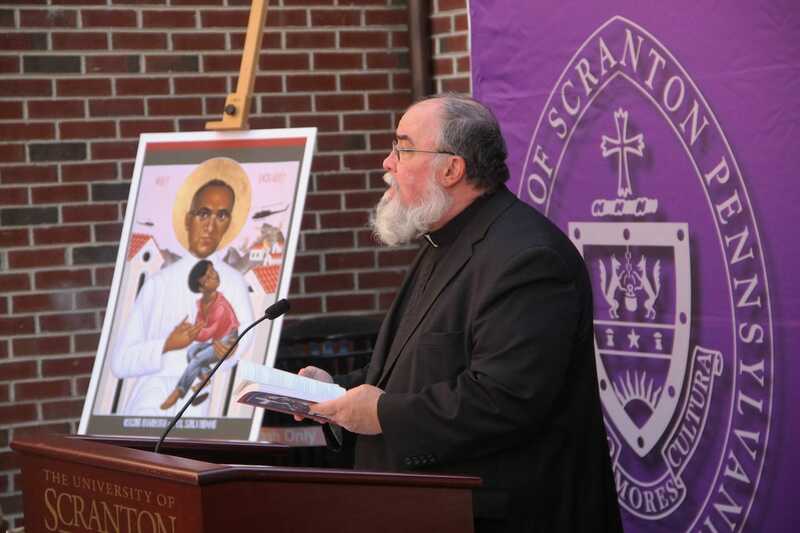 Scott R. Pilarz, S.J., said his life and understanding of the work of this University “were never the same” after his pilgrimage to El Salvador with Scranton students. 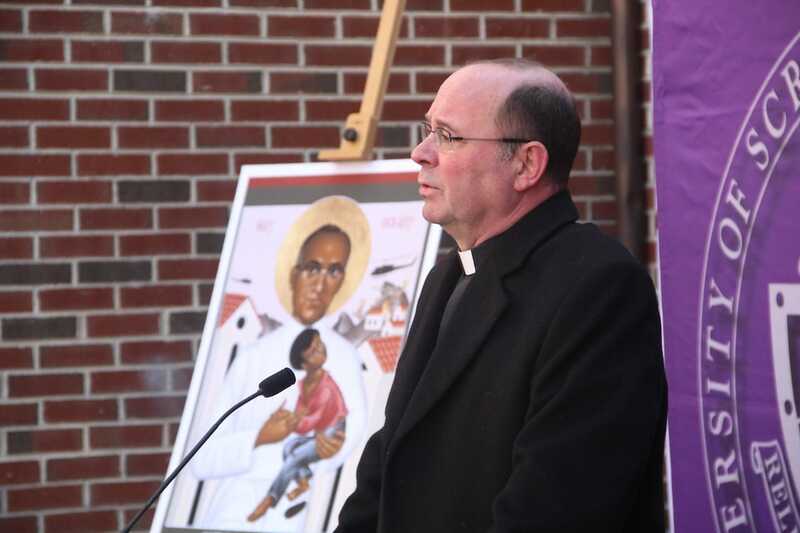 Also speaking at the ceremony were Rev. 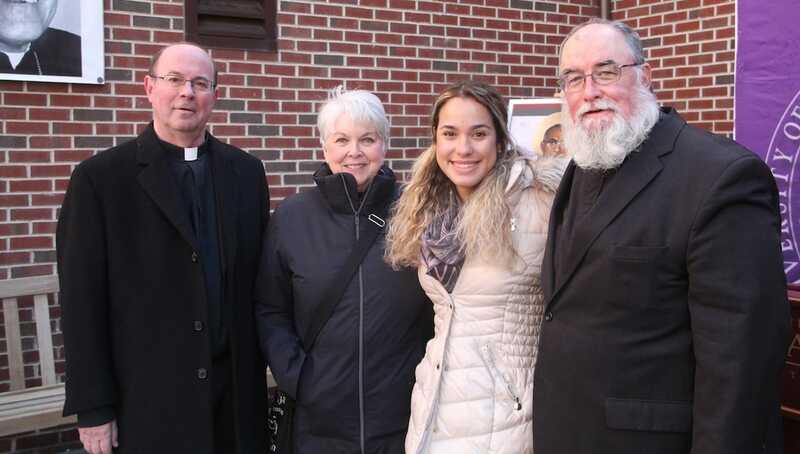 Richard Malloy, S.J., University chaplain; Karla Rodriguez ’20, a biology major at the University from Franklin Square, New York, who participated in a summer study-abroad trip to El Salvador; and Marie Karam, former director of the University’s Language Learning Center, who also served as chaperone for student international service trips to El Salvador. The University’s Romero Plaza, formerly called Mulberry Plaza, is a residence facility constructed in 2000 that consists of four townhouse units, accommodating 141 junior and senior students. Each three-story, 1,000-square-foot townhouse provides a mix of duplex and flat-style apartments with from one to six bedrooms. The plaza is located on the corner of Mulberry Street and Madison Avenue on the University’s campus.